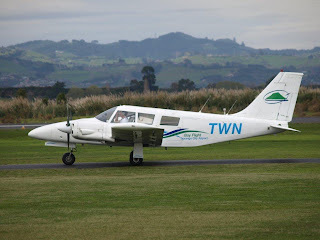 Tomorrow to Wairoa where I want to trawl the local paper about air services to Wairoa. 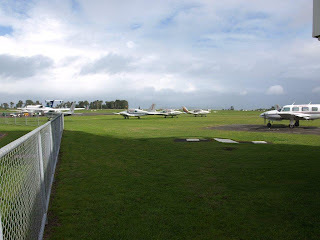 I am on holiday and so a bit of plane spotting from Auckland through to Tauranga... Here are the "airliners"
Yesterday Blue Bus, of http://www.nzcivair.blogspot.com/ fame, sent me this great photo of SPANZ's Douglas DC-3 ZK-BYE (c/n13529) taken at Christchurch in 1965. SPANZ operated three New Zealand registered DC-3's ZK-BYD, Ernest Rutherford (c/n 13906), ZK-BYE, Jean Batten and ZK-CAW George Bolt (c/n 18293). 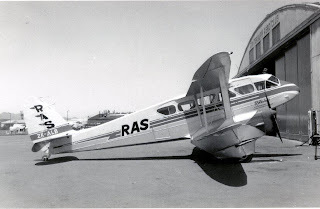 A fourth DC-3, G-AMKE, was leased from England. South Pacific Airlines of New Zealand, SPANZ, was founded by Bob Anderson and Rex Daniell in 1960 and was, in many ways, the first real competition for the national carrier of the time, NAC. 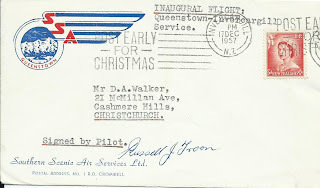 At this time in New Zealand aviation history Government and departmental policy was highly biased towards NAC. 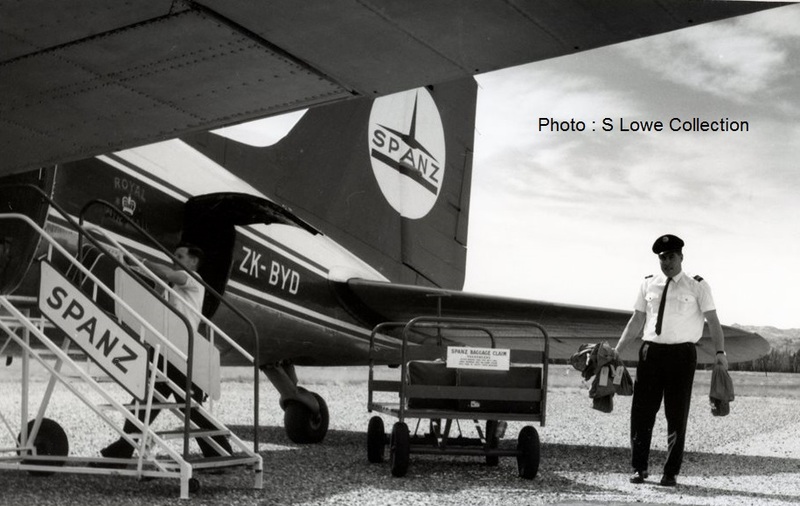 This attitude, which SPANZ had to continually battle against, was further intensified by the Australian airline Ansett’s investment in the company. 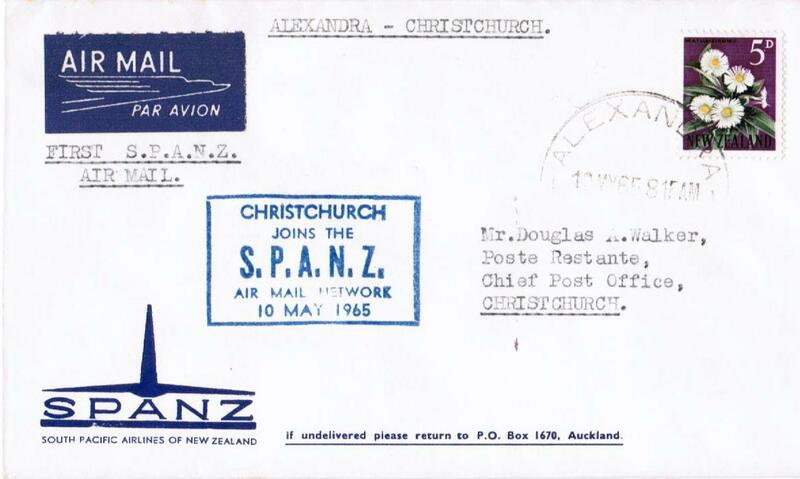 For some towns like Alexandra, however, the arrival of SPANZ meant the arrival of a scheduled air service. The challenge for SPANZ was to make a profit to survive on lean and often indirect routes while NAC maintained the more profitable sectors. 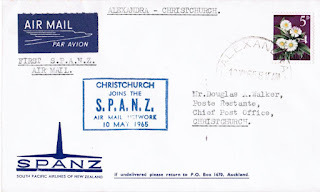 SPANZ began scheduled services of the 14th of December 1960 and on that day Douglas DC-3 ZK-BYD flew from Auckland to Hamilton, New Plymouth, Nelson and Christchurch before flying the Christchurch-Oamaru-Alexandra-Christchurch service, the southern part of SPANZ’s network. A couple of days later, on the 16th of December, the company’s second Viewmaster, ZK-BYE, arrived in New Zealand. 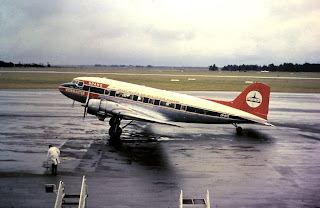 The most striking feature of the Airlines of New Zealand DC-3 was its Viewmaster windows. 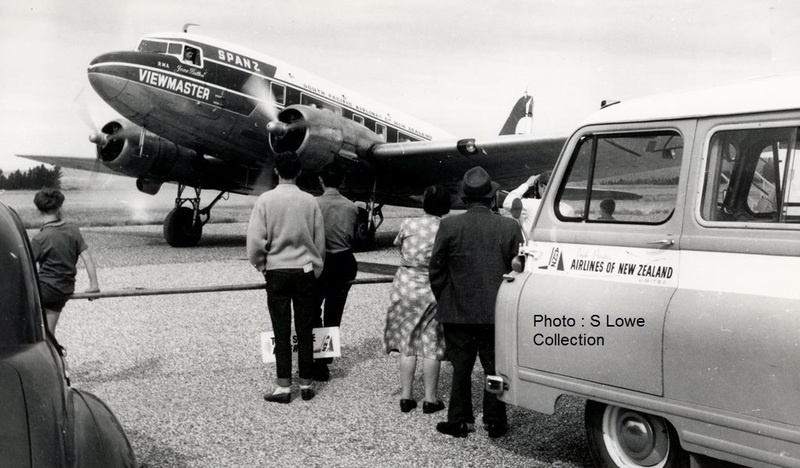 Ansett Transport Industries’ executive director, Ronald Walker, who was on board the inaugural flight told the Oamaru Mail that the two five-feet panoramic windows on either side of the fuselage give passengers a grand view. He was in New Zealand to promote air tours of New Zealand. He said that statistics showed that the average Australian tourist spent 10 to 14 days on tour in New Zealand and his company would provide 10-day package tours, which would enable Australians to see the beauties of the countryside, particularly the Alps and fiords of the South Island. The tourist has limited time available and it is necessary to show him as much as possible. Much of the country can be seen while the plane is in the air. 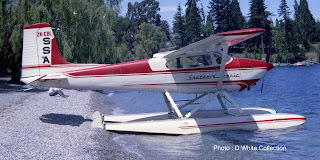 A third Viewmaster, ZK-CAW, was added to the fleet in October 1961. 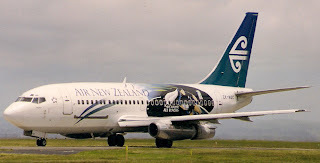 Normally Airlines of New Zealand’s flights south of Christchurch were operated thrice weekly though daily flights were offered in peak holiday periods. 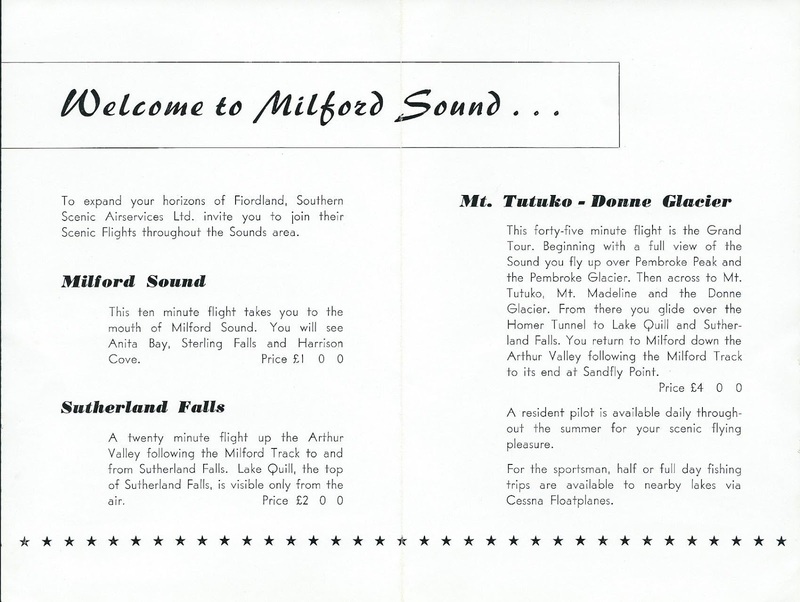 With the prospect of prosperous 1961/1962 summer the company entered a three month for a fourth DC-3, G-AMKE, from British company, Air Links. 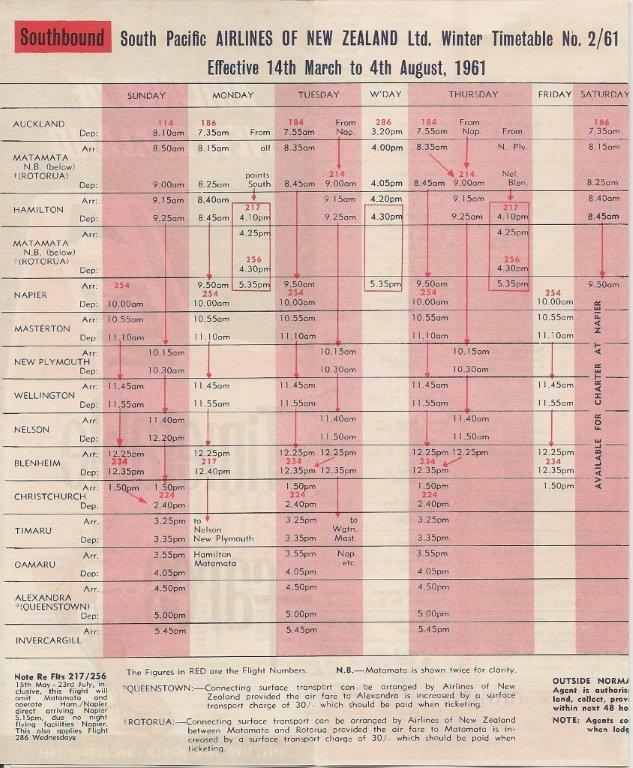 A few months later on the 11th of March 1961 Timaru and Invercargill were added to the flights south from Christchurch, the DC-3 flying Christchurch-Timaru-Oamaru-Alexandra-Invercargill in the afternoon and then returning along the same route the next morning three days a week. Many years later, for a short time, Airlink was to provide a link once again between Alexandra and Timaru (see http://3rdlevelnz.blogspot.co.nz/2010/10/airlink-to-alexandra-for-15-weeks.html). 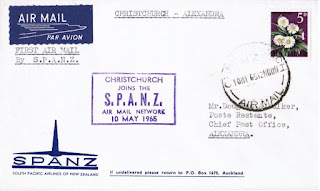 A further change was made to the southern network with the inclusion of Dunedin from the 17th of December 1961 when Dunedin was added to the flights. 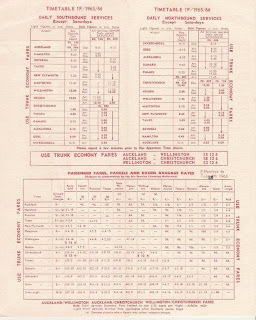 This stop did not prove economical and Dunedin was dropped from the 17th of March 1962. 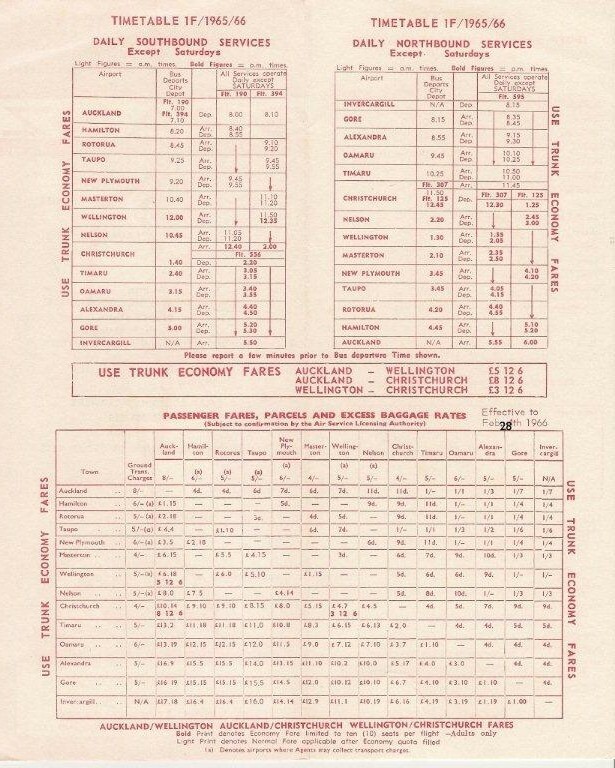 Another change to the southern route was made at the end of the year when, from the 21st of December 1962, Gore was added as another stopover. Invercargill to Christchurch via Gore, Alexandra, Oamaru and Timaru in a DC-3 made for a slow journey of some 5 hours but I suspect these days there would be many an aviation enthusiast who would pay top dollar to be able to do it. 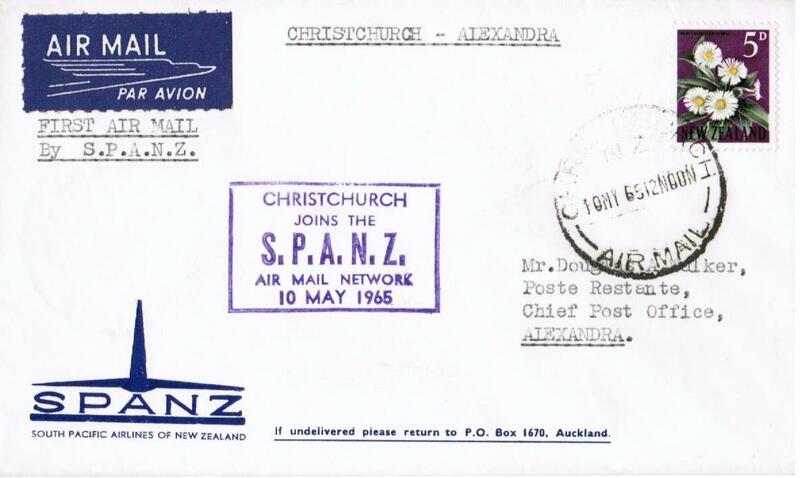 From the 22nd of March 1965, after much lobbying, SPANZ was granted a contract for the carriage of air mail. First day covers were issued to mark the event. Can anyone name the pilot??? SPANZ always struggled on lean routes. 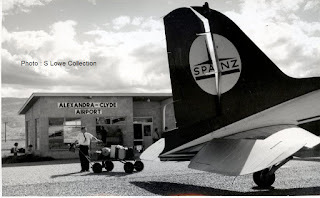 While towns like Alexandra were incredibly loyal to SPANZ the company always struggled financially and on the 28th of February 1966 SPANZ’s valiant attempt to be New Zealand’s second airline ended and the company ceased all services. A Somali woman who tried to hijack a plane over the South Island was jailed for nine years this morning. Asha Ali Abdille, a refugee, was today sentenced at Christchurch District Court for the 2008 attempted hijacking of a 19-seater Jetstream 32 aircraft on a flight from Blenheim to Christchurch. 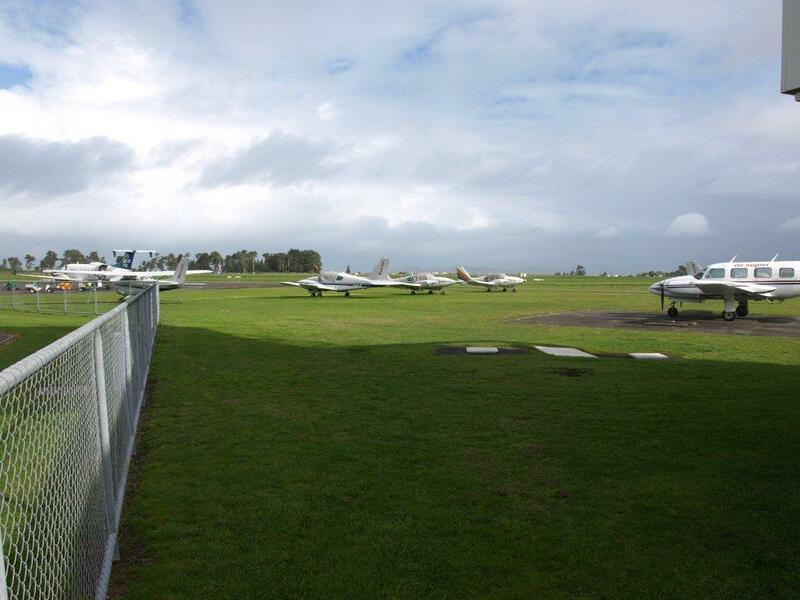 It is the first time anyone in New Zealand has been convicted of a plane hijack offence. Abdille was ordered to serve a minimum non-parole period of six years. Another seven charges - three of taking an offensive weapon onto an aircraft and four of injuring or wounding with reckless disregard - were dropped at a three-day hearing last month. Abdille, a vineyard worker, took three knives aboard the flight, and used one to cut the pilot. She demanded he fly to Australia, but when he said they did not have enough fuel, she suggested they fly into the sea. When the plane landed at Christchurch, Abdille was overpowered by the pilot and first officer. 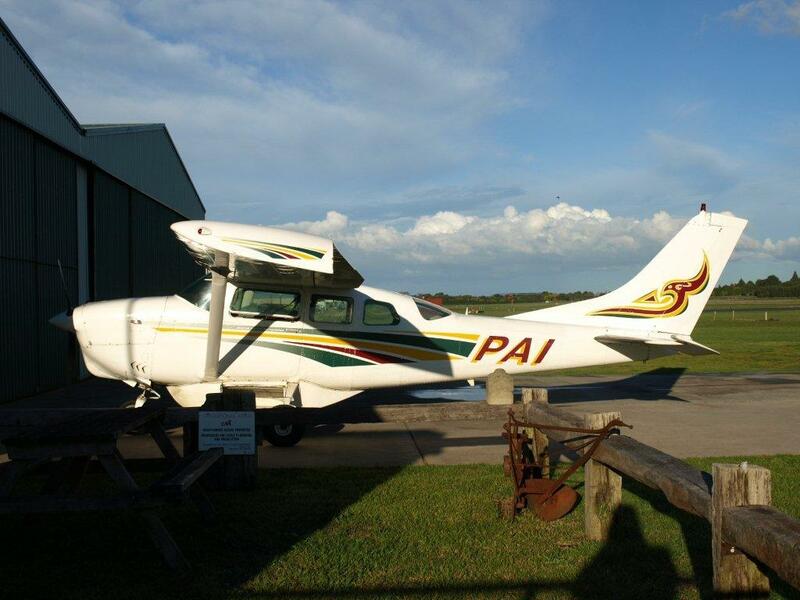 The pilot received cuts to both hands and needed extensive surgery to reattach muscles, tendons and a nerve. He was also cut on his back. The first officer was cut on his foot and a passenger was also wounded. 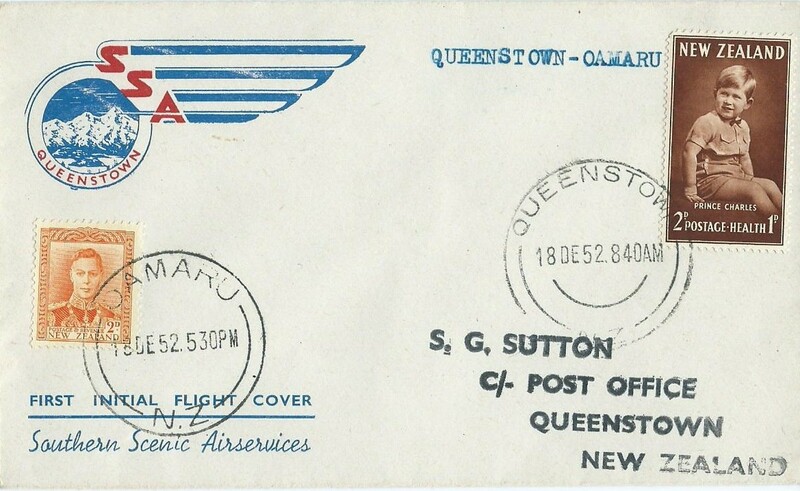 Mike Condon reminded me that ZK-VAB, which was cancelled from the register yesterday, had a previous New Zealand identity, namely as ZK-JND. 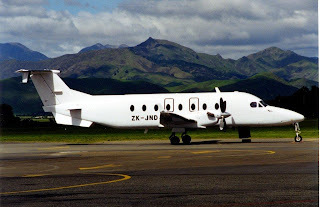 ZK-JND first went into service with Eagle Air on the 28th of August 2001 and was used for crew training and on Eagle Air services until the 15th of January 2002. 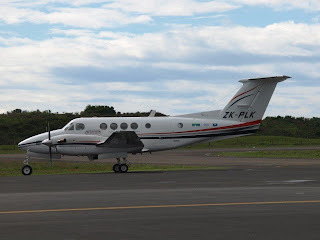 It did a second stint with Eagle Air from the 20th of April 2002 until early December 2002 before being registered to Vincent Aviation on the 9th of April 2003 and then being registered as ZK-VAB on 14th of May 2003. 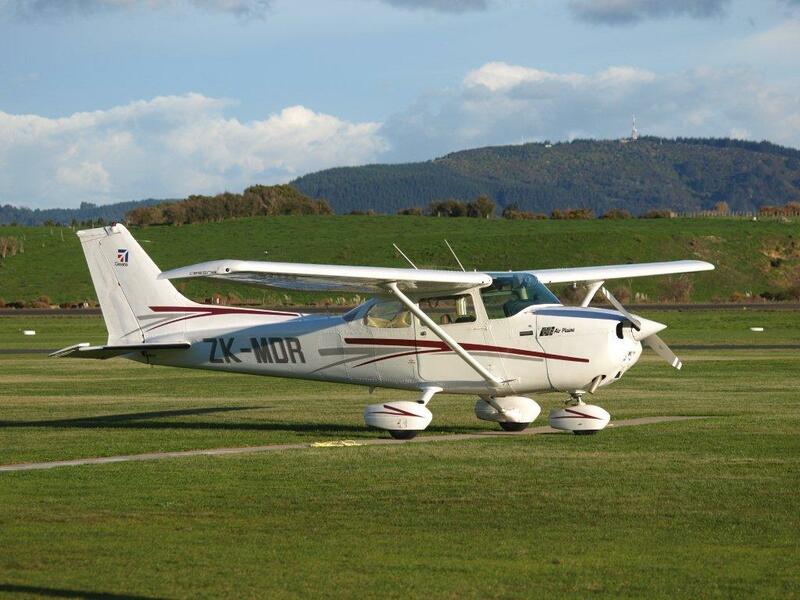 Eagle also used a second Raytheon 1900D for crew training and for the introduction of the 1900 to their network. 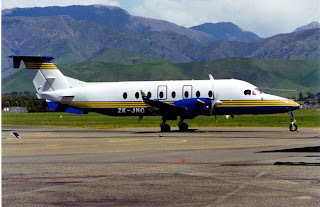 The scond aircraft, ZK-JNG (c/n UE-53), entered service with Eagle Air on the 24th of September 2001 and was used by them until the 6th of January 2002. 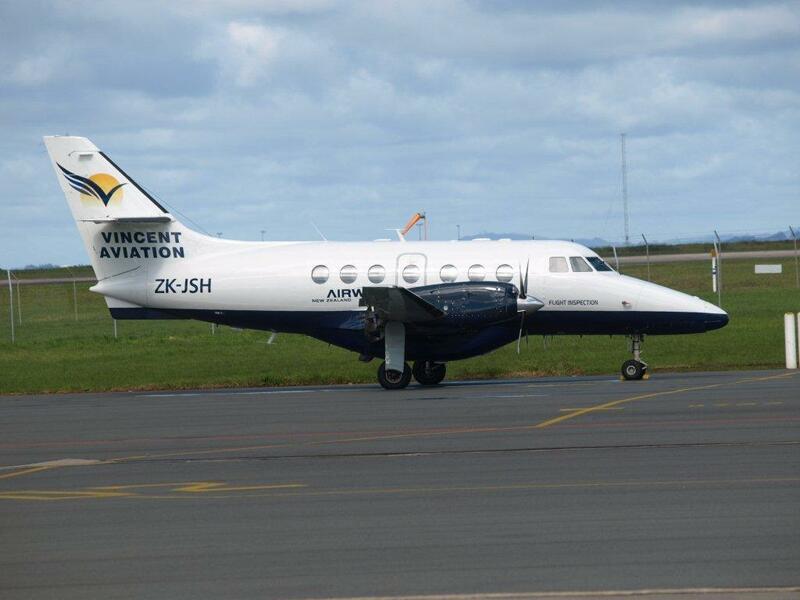 Cancelled from the register as "exported" yesterday was Vincent Aviation's Beech 1900D, or more correctly Raytheon 1900D, ZK-VAB (UE-302). It has been operating for Vincent out of Darwin since May 2009 but prior to that it was used extnesively on Eagle Air flights, in particular on routes from Wellington to Whakatane, Wanganui, Westport, Blenheim and Timaru, and south from Blenheim to Christchurch as well as doing general back up work for Eagle Air’s Beech 1900s. Has it gone on to the Australian register??? 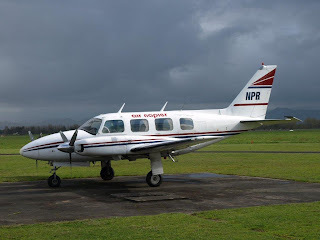 Yesterday evening's last Eagle Air flight into Whangarei from Auckland and the direct flight from Wellington were diverted to Kerikeri after the runway lights failed. Three Beech 1900s on the ramp at Kerikeri must have made a tight fit. The diversions meant further delays this morning with the crews having to get to Kerikeri before and then having to position the two 1900s from Kerikeri to Whangarei before starting their normal daily schedules. Emergency services were on full alert at Wellington airport this morning after pilots of a light aircraft raised the alarm. They were having concerns with their aircraft's hydraulic system just before 6am. There were five people on board the Wellington-bound charter flight. In the end it landed safely without incident as the wheels did eventually get into landing position. The plane was an 18 seater Metroliner. Five provincial airports have been told to reduce the risk of bird strikes. 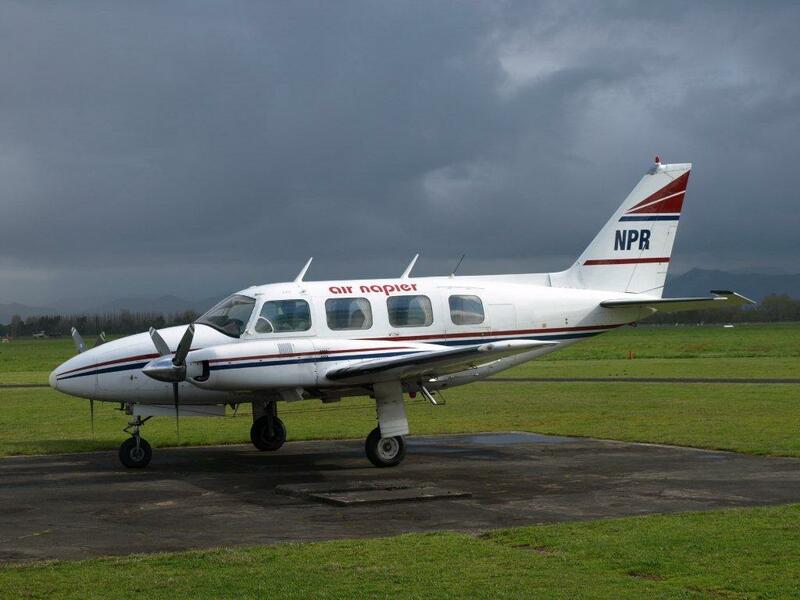 The Civil Aviation Authority (CAA) has urged Kerikeri, Whakatane, Napier, Palmerston North and Chathams Islands airports to take action, because of high bird numbers. The CAA says there are practical ways of dealing with the aviation menace, including shooting the birds and removing their food source. The Authority says birds at airports range in size from tiny sparrows to large Canada Geese. On Wednesday, bird strike was blamed for engine trouble on an Air New Zealand passenger jet, which landed safely at Wellington airport despite one engine on the Boeing 737 being shut down. A suspected birdstrike forced an Air New Zealand flight to return to Christchurch Airport shortly after take-off this afternoon. An Air New Zealand spokeswoman said Flight NZ532 bound for Auckland returned to Christchurch a few minutes after take off following a suspected bird strike on the left wing of the aircraft. 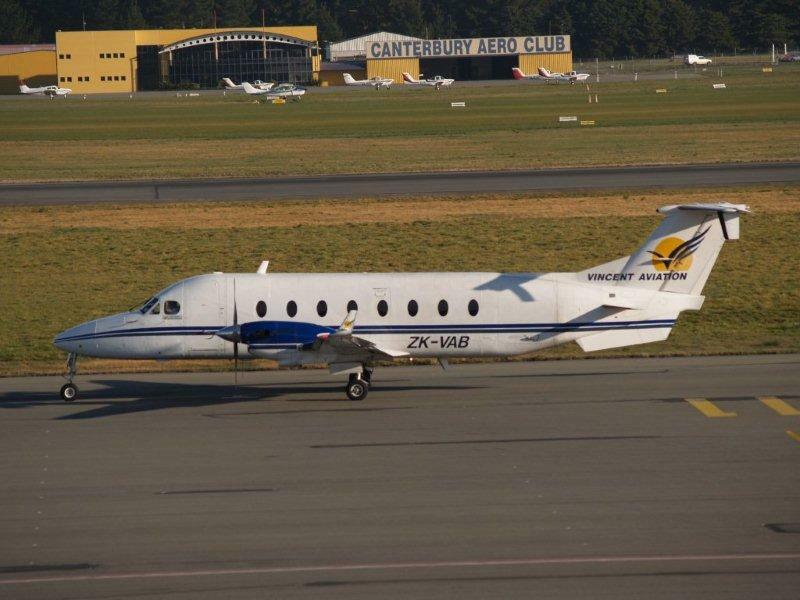 The plane landed in Christchurch without incident and no local standby was required. The 110 passengers were transferred to another plane within 45 minutes to continue their journey to Auckland, she said. Engineers were inspecting the Boeing 737 involved. One of the advantages of flying Air New Zealand... The 110 passengers were transferred to another plane within 45 minutes to continue their journey to Auckland. Among the deaths notices of Saturday's NZ Herald was that of Ian Ritchie's founder of Ritchie Air Services and pioneer pilot in the Fiordland area. 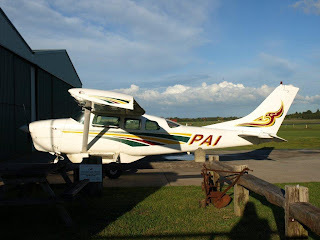 I found this piece on the Southern District's Aero Club site to celebrate when Ian was awarded the Jean Batton Trophy. 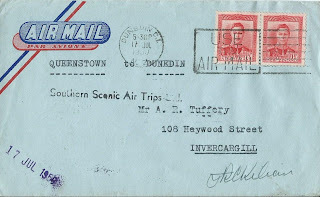 Ian Andrew Ritchie was born in 1921 and is one of the doyens of the post-war development of general aviation, agricultural and the tourist air service industry in New Zealand. At the outbreak of the Second World War, he applied to join the Royal New Zealand Air Force. After undertaking a correspondence course of pre-training and initial pilot qualification, he was posted to Canada for advanced flying training and eventually arrived at RAF Grantham in July 1943. A period on Blenheims was followed by operational tours on Beaufighters, where he earned an exceptional rating in air gunnery, and on Mosquitos, flying night and low-level raids over Germany. 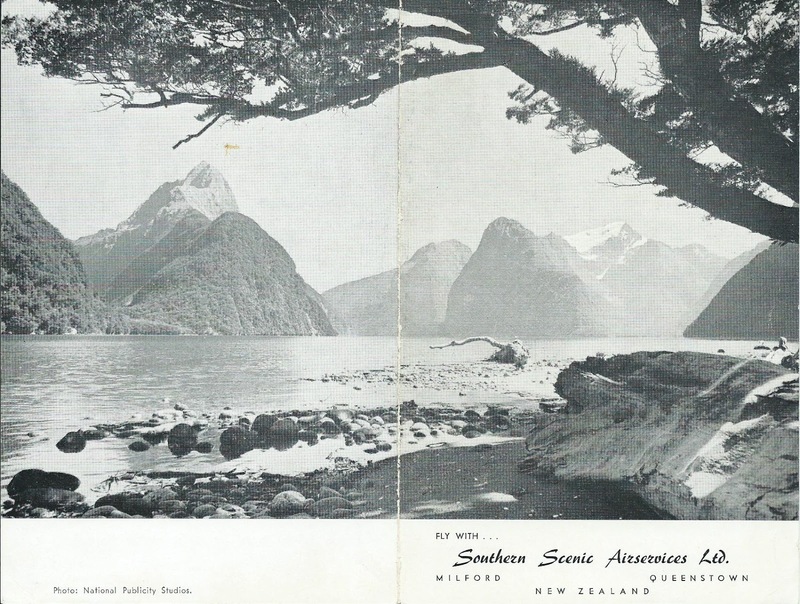 After the war ended he declined an invitation to join RAF Transport Command and, together with his wife Della Shaw, returned to New Zealand in 1946 to establish a furniture making business in Dunedin. 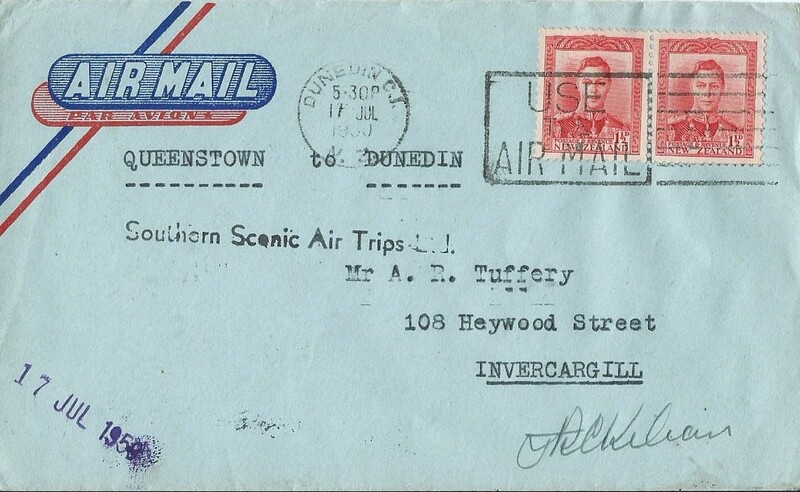 He obtained his A endorsed licence (today’s PPL) in August 1946 flying from Taieri. 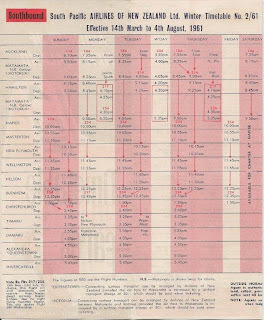 In 1948, he joined No. 4 Territorial Squadron Royal New Zealand Air Force flying Harvards and Tiger Moths, a reserve obligation to the RNZAF that he continued over many years. In March 1949 he earned his B licence (CPL) and shared his woodworking with part-time commercial flying during the week, Territorial Air Force on the weekends and studying for his instructor rating. 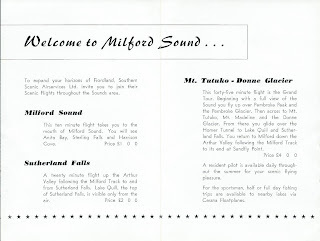 In 1950, in partnership with Ron Bush, his pre-war instructor, he established Southland and Otago Aerial Topdressing Ltd as Manager and Chief Pilot operating from Gore. The following year he undertook instructing for the Gore Flight of the Southland Aero Club in an honorary capacity on Sundays while the other six days a week were spent topdressing. 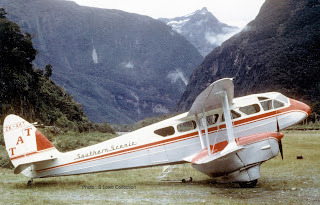 SOAT was the pioneer South Island operator of the Fletcher FU24 and Ian Ritchie flew and demonstrated the aircraft extensively, including at the world’s first Agricultural Air Show in Palmerston North in November 1956. In December of that year he demonstrated the aircraft and its capabilities to the Duke of Edinburgh at Cashmere near Christchurch. In 1959 he was awarded an A Category instructor licence. 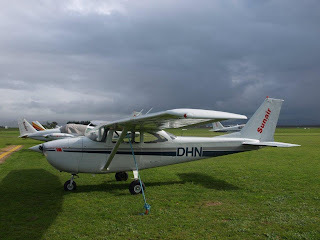 In 1960 he formed Ritchie Air Services, the first Southland air transport service, and obtained a licence to operate the first training school for agricultural (topdressing) pilots in New Zealand, flying Cessna 180 and DH82 aircraft. 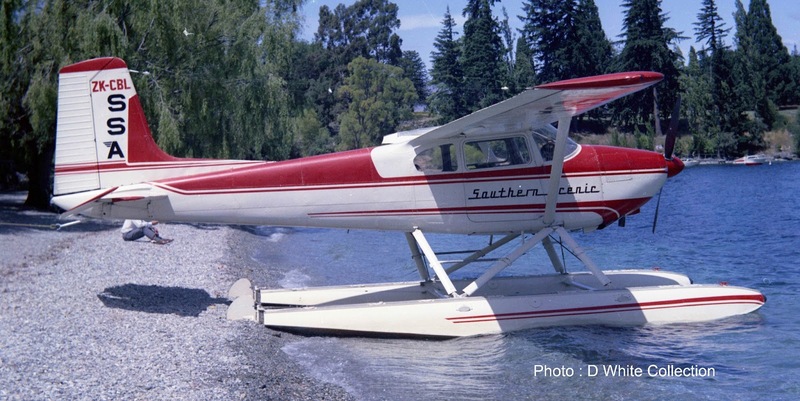 Soon after, the Gore branch of the SAC became the brand new Southern Districts Aero Club and Ian Ritchie was its first CFI. 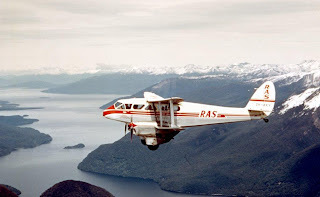 Ritchie Air Services pioneered tourist air services from Te Anau, notably the spectacular route to Milford Sound, using Cessna 180 and a DH89 Dominie aircraft. 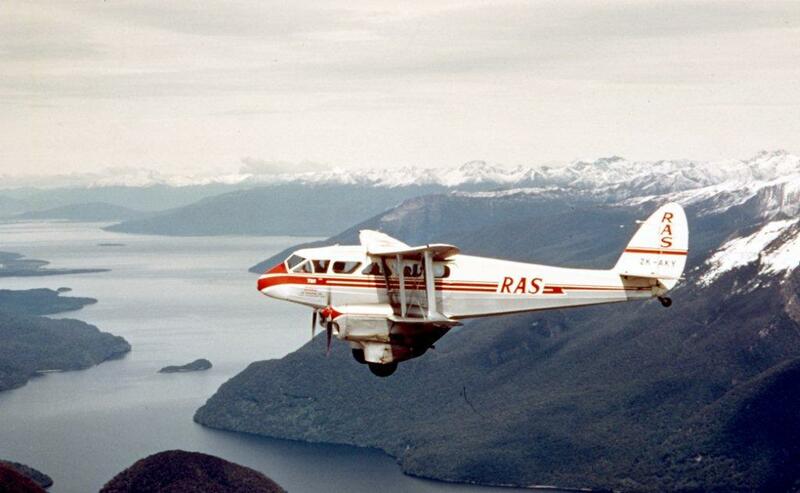 It also engaged extensively in supply dropping and venison recovery in the mountainous terrain as well as floatplane operations from the lakes and sounds of the region. His humorous personality and engaging sense of confidence made him popular with his passengers and, while known as a strict disciplinarian, anecdotes of his exploits are legion among his contemporaries. 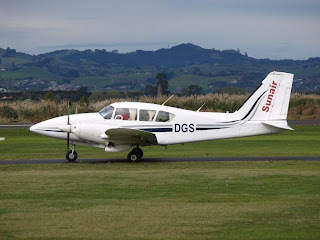 In 1964, Ian and Della’s expanding airline merged with Tourist Air Travel which boosted its financial health and enabled the purchase of the first Cessna 206 floatplane in NZ and a further Dominie. 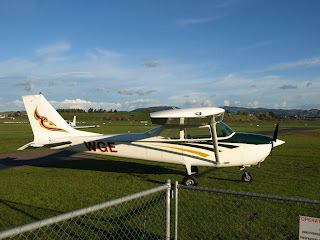 His years of instructing and display flying (one-time national aerobatic champion), together with his pioneering development of agricultural flying, tourist air services, and general aviation in Southland, had marked Ian as one of the most experienced General Aviation pilots in New Zealand. Accordingly, in 1966 he was invited to join the Civil Aviation Authority (CAA) as an Operations Officer in Wellington and this was the beginning of a 15-year era of a challenging and constructive contribution to aviation development in New Zealand. 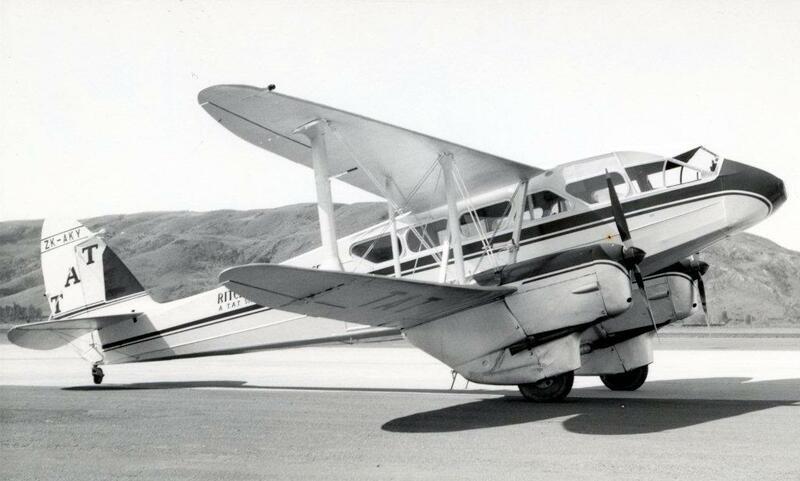 His new duties included prototype test flying of the CT4 Airtrainer and the turbine powered Fletcher FU24 as well as pilot flight testing, ratings and standards. 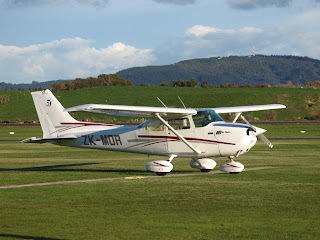 Committed to his instructional duties, he served voluntarily as the CFI at the annual Walsh Memorial Scout Flying School from the inaugural camp in 1967 until 1974, again leaving a legacy of strict standards and happy professionalism with several hundred young students. Ian Ritchie retired on the eve of his 60th birthday with over 13,000 hours logged. His role in the development of agricultural, tourism and general aviation services and standards in New Zealand and his instruction of aerial topdressing techniques, safe mountain flying techniques, instrument flying procedures and sound commercial operating standards in remote airspace have made an outstanding personal contribution to New Zealand aviation. He is accordingly awarded the Jean Batten Memorial Trophy. Ian died at Motueka on the 18th of August 2010. May he rest in peace. Air Nelson, as part of the Air NZ group of airline's, has been an active supporter of local rugby through the Air NZ sponsored National Provencial Championship series held each year through until just recently when the deal changed hands to ITM. As part of this sponsorship, Link carrier's Air Nelson and Mt Cook were engaged in the massive task of moving teams from one district to another with oddball city pairings such as Gisborne to Wesport or Timaru to Wanganui. Often two teams would be carried (on an ATR) with one team being bussed to their venue and then vice versa when the games had been played. 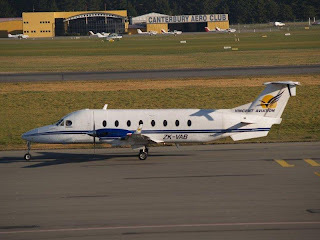 Most flights took part on Friday's and the teams returned home either late Saturday after their games or early Sunday morning, as schedules allowed considering no 'fare paying' passengers travelled on this pseudo charter flights. 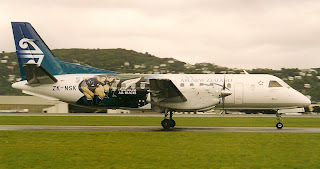 During 1997, Air Nelson decked out Saab 340A ZK-NSL with all the rugby jersey's of the teams participating in the NPC that year and it entered service as NZ8102 from Nelson direct to Hamilton on 16 August. The aircraft retained these decals until the aircraft terminated its lease to Air Nelson in December 1997. Air NZ's backing of New Zealand's national game, rugby, has been in the media recently with a revamped passenger safety briefing being broadcast on their 737-300 and A320 fleet of aircraft. 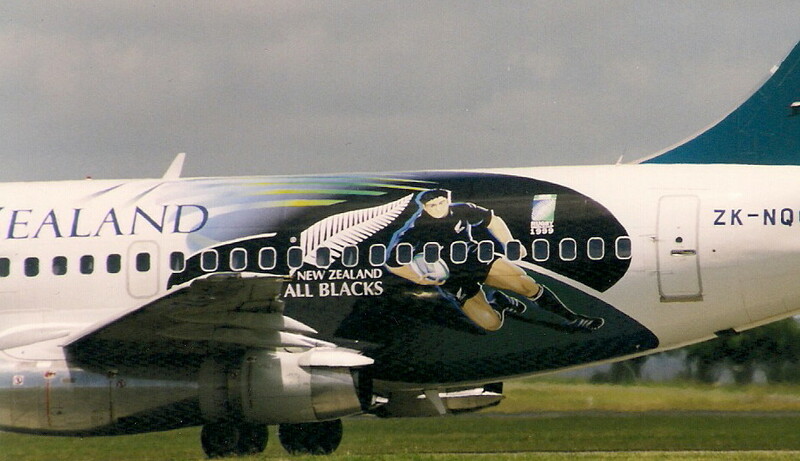 Back in 1999 Air New Zealand applied decals to three aircraft in their fleet to show support for the All Blacks participating in the Rugby World Cup staged in Wales from 1 October through until 6 November of that year. Boeing 747-400 ZK-NBW was repainted with a striking black tail and featured a decal of the All Blacks front row of Carl Hoeft, Anton Oliver and Kees Meuws. 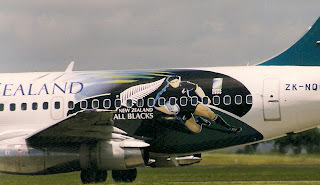 Boeing 737-200QC ZK-NQC carried a decal featuring then All Blacks Captain Taine Randell. ZK-NQC is seen here at Auckland on 04 December 1999, not long before the decal we removed after the All Blacks defeat playing against France in the semi-final a month earlier. Saab 340A ZK-NSK, operated by Air Nelson, wore the same decal as Boeing 747-400 ZK-NBW however retained the teal tail. Considering New Zealand is hosting the Rugby World Cup in 2011, I wonder what special scheme/s we might see during that period!